Now that I had arrived at my Grandma’s house, it was time to make new summer memories. I sat eagerly on the couch next to my Grandma to hear all about her day when my 6-year-old son, Aiden plopped down next to me. “Ugh,” he moaned. “Really, No Wi-Fi!” he exclaimed as he looked perplexed at his Kindle. “What’s the problem?” I asked. “I want to play FIFA 15, and I need Wi-Fi,” he whined. I tried to explain that Grandma doesn’t have Wi-Fi or a computer or any electronic device for that matter. He looked at me bewildered and confused. You can have fun without your Kindle and video games, I told him. He didn’t like my answer, but I knew the Village of Attica might be small, but it had a lot of simple fun to be had. Soon after our conservation my cousin arrived with her two kids, and we were off to the village park. It was the same park I remembered from past summer memories. 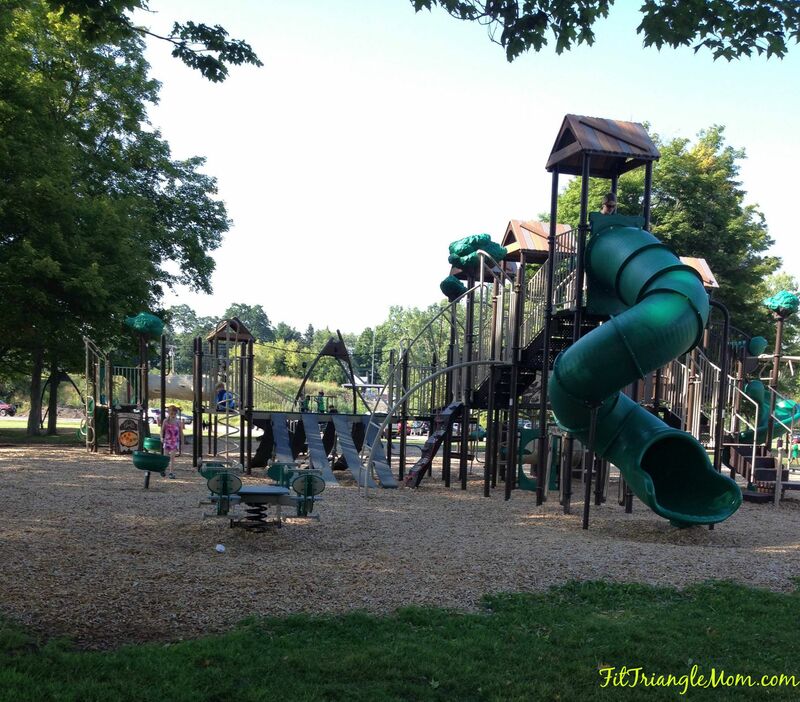 The play equipment had changed from a wooden structure to a plastic and aluminum complex complete with a zip-line and multiple slides. Tall trees opened to a child’s dream playground with picnic shelters scattered along its borders. I sat down at a nearby picnic table to watch the boys clamber up and down the ladders, slides and climbing walls. Aiden met a few new friends and played on the zip-line most of the time. My 4-year-old, Liam spent his time checking out every nook and cranny of the playground from tiny swings under balance beam to the spinning buckets (be careful they go fast). A short walk down the end of Grandma’s street is the creek. To some it may be common place terrain, but to kids and those young-at-heart it’s an exploration of sorts into the rich cool waters of ground separation. Smooth stepping stones and silky gray clay massaged our feet as we combed the water looking for treasures. The boys were amazed by the numerous flat shaped rocks that would make a creative canvas for painting. We unearthed other trinkets as well- a fishing bobber and fools gold, yet the greatest treasure was listening to the children laugh and discover simple fun were no Wi-Fi is needed. 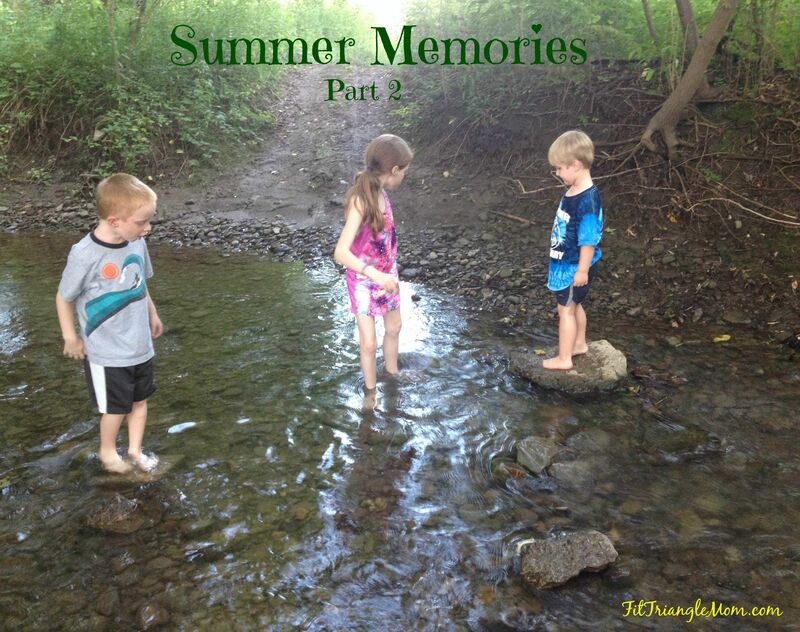 Stayed tuned for Summer Memories Part 3- Silver Lake and Pike’s Fair. You are helping create such wonderful memories. 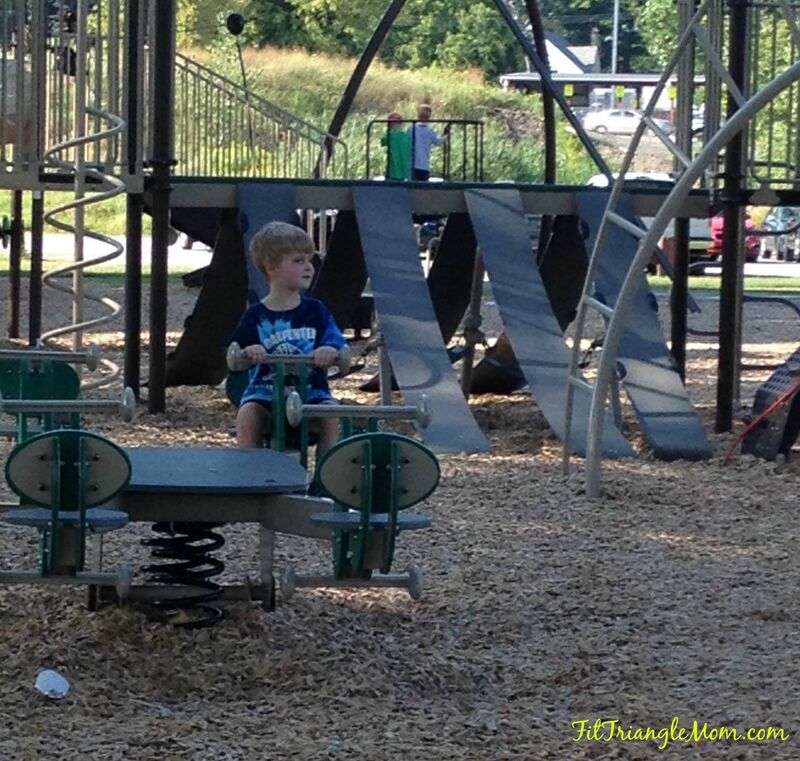 Leigh Powell Hines recently posted…#OutaboutNC with Kids: 24 Hours in Winston-Salem, N.C. Thank you. My goal is to build upon these memories next year. Thank you, I hope to make this an annual trip.